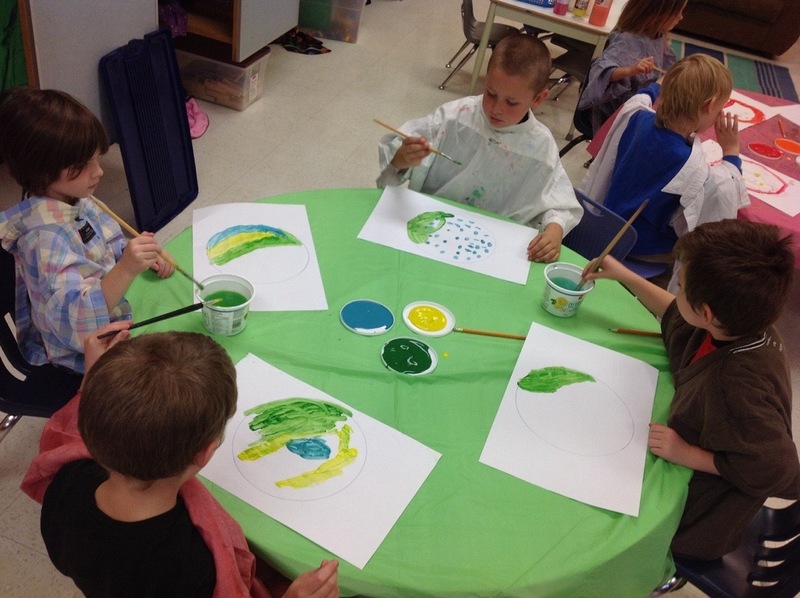 We painted some gorgeous dots this week. 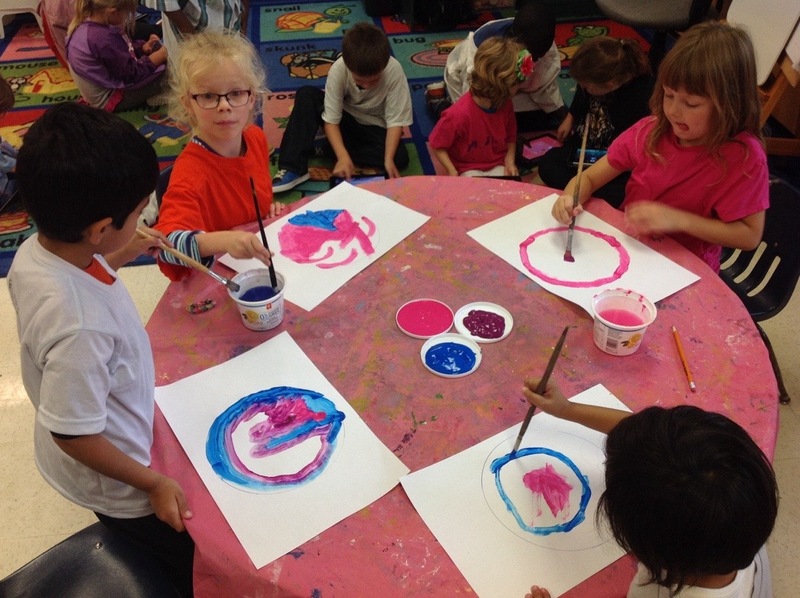 The students got to choose the group of colors they liked best for their dot. 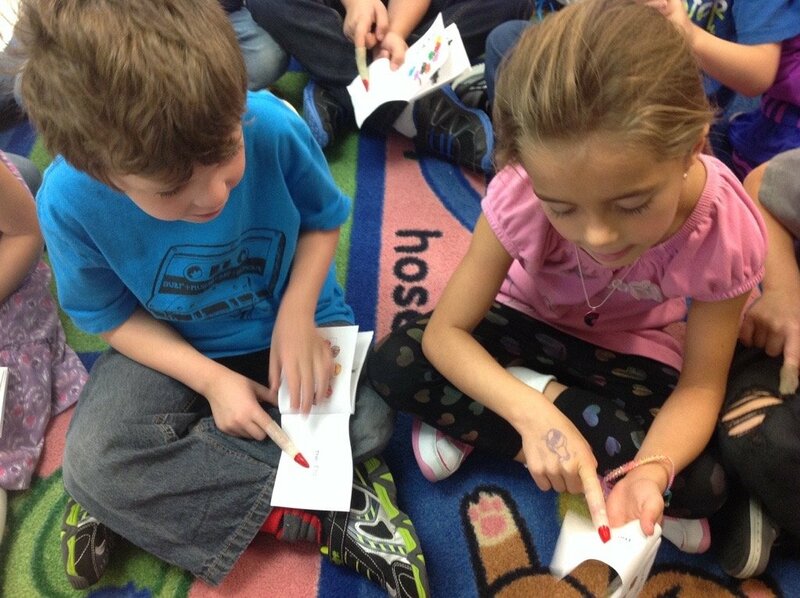 We also practiced pointing at words as we “read”. No one was reluctant to point with these fingers! My name is Miss. McPhail and I am a student at the University of Maine at Presque Isle, in the state of Maine, USA. I am studying elementary special education. 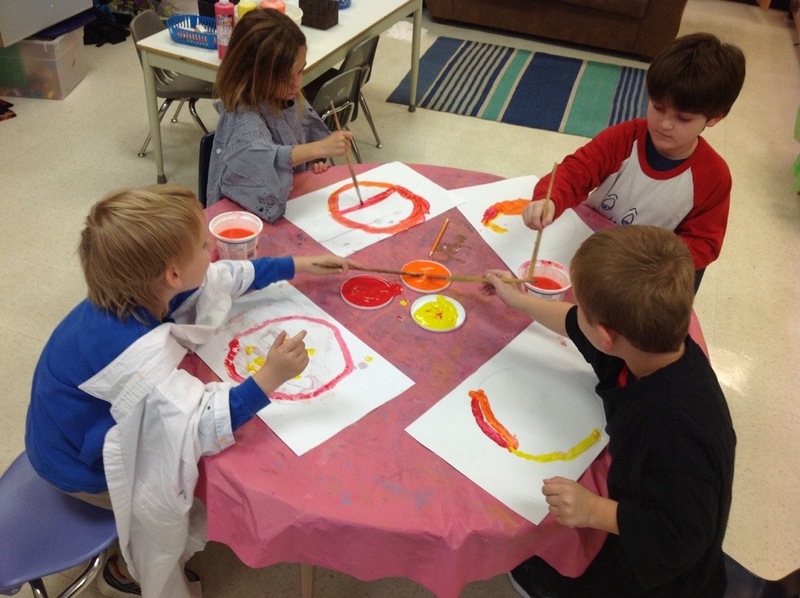 Your blog is awesome and I enjoy looking at all the fun activities you have been doing in your class this year! Your dots are very beautiful. I see that you are from Canada! I am also from Canada and travel to school in the US everyday. Isn’t that great? I have had the chance to read one of your teachers eBooks and it’s really awesome. I think you have a pretty cool teacher! I am so glad to have found your blog. Thanks for sharing!